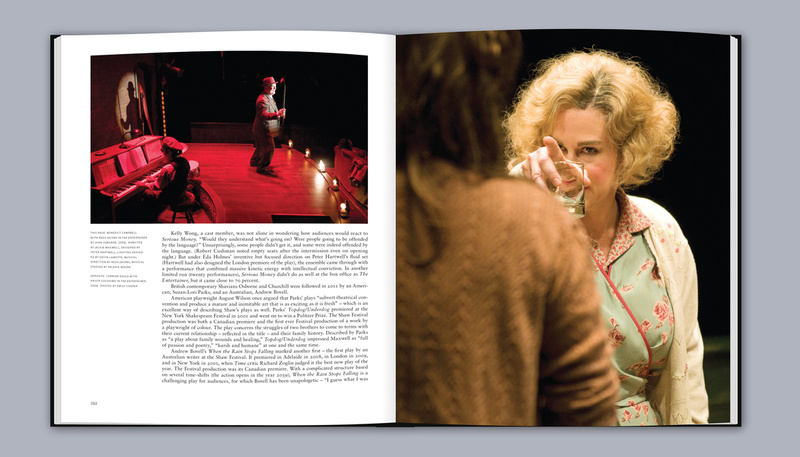 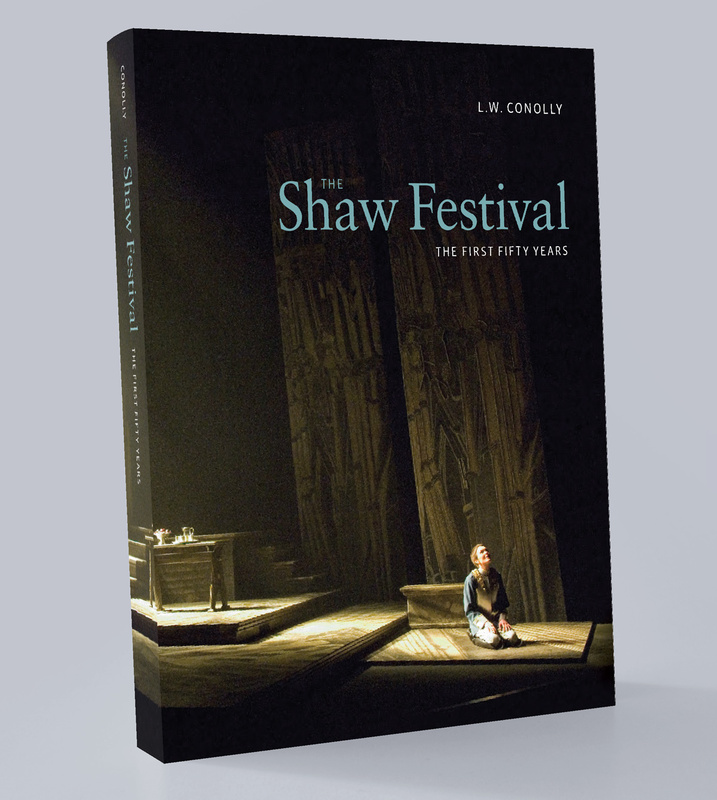 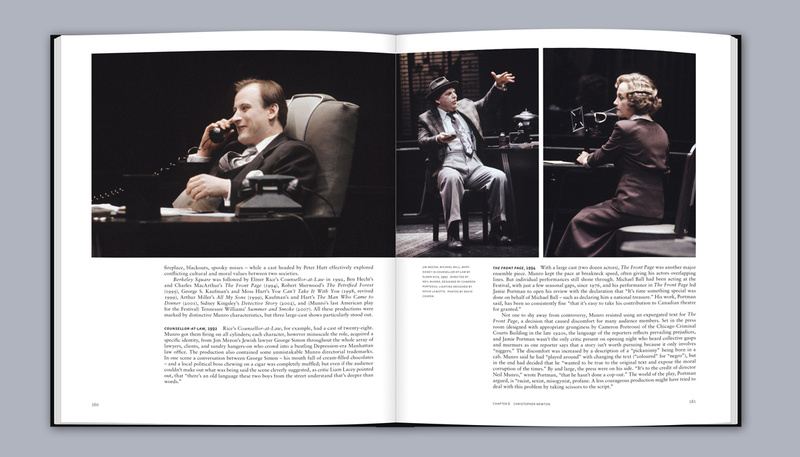 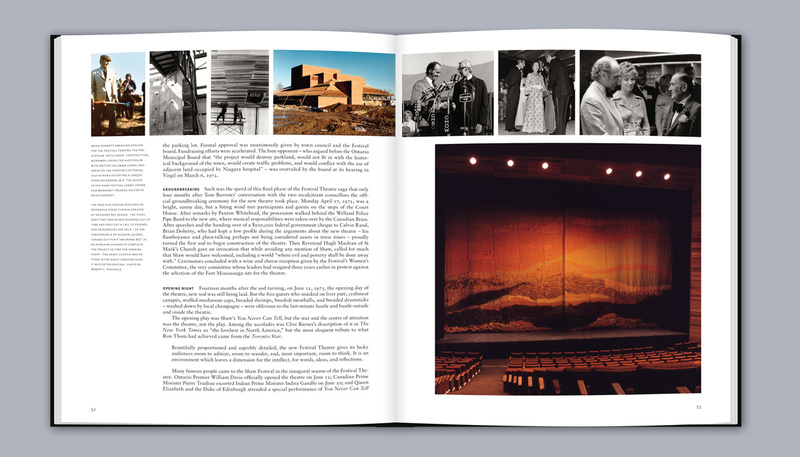 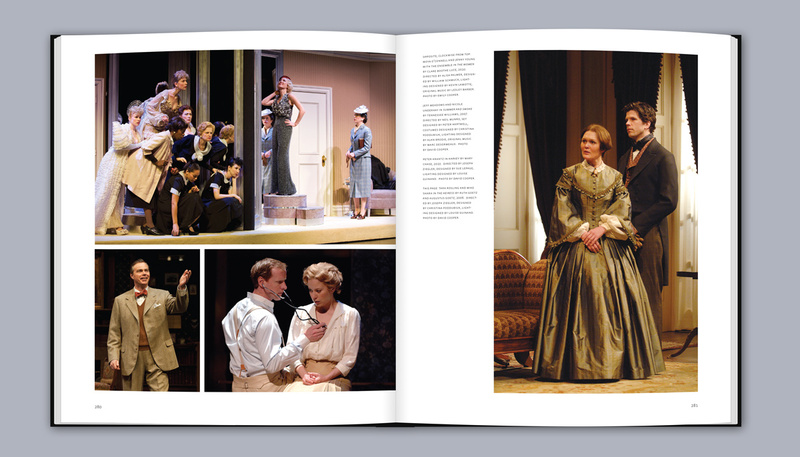 Scott was perhaps a natural choice for designer and picture researcher for a book commemorating the Shaw Festival’s 50th anniversary in 2011 because he designed the house programmes for so many of the productions represented (and has an archive of production photography in the studio). 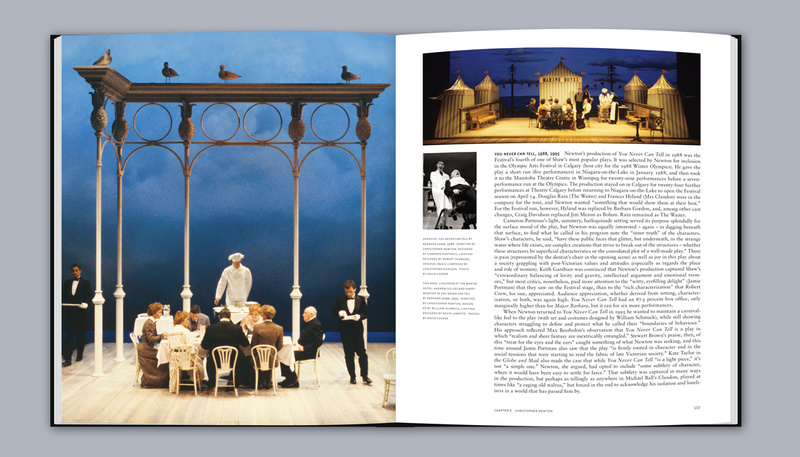 Author Leonard Conolly started work on the text five of six years in advance — on two or three occasions over that period of time Leonard was in London, England, at the same time as Scott and Christina on their annual picture research trip for The Shaw’s programmes, so they arranged to have breakfast meetings at The Wolsley, next door to The Ritz on Piccadilly, to discuss the anniversary book project! 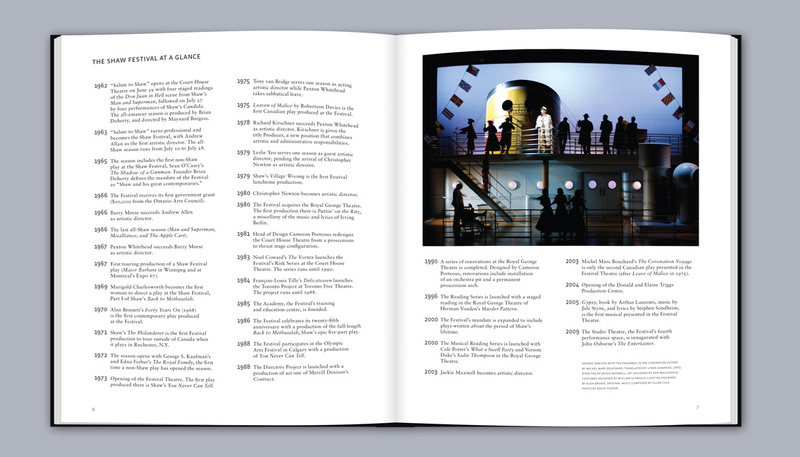 The book is 9"x 12", 312 pages, published by Oxford University Press.